Stuck on what to get a GTA eco-mom-to-be? With the confusing array of baby products and our growing environmental concerns, what can you get an expectant mom that will make her feel special, support a local business and protect Mother Earth at the same time? We surveyed our staff to put together a list of their favourite, local eco-gifts you can give this holiday season. Organic food delivery service. When you bring a baby into this world, making food is the last thing you want to worry about, but a new mama needs her energy and nutrients more than anything! 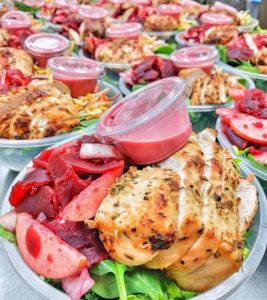 Fit Organix will deliver healthy, organic meals straight to her door, every day. Every meal is free of gluten, soy, dairy, peanuts, additives or preservatives. Organic produce delivery. 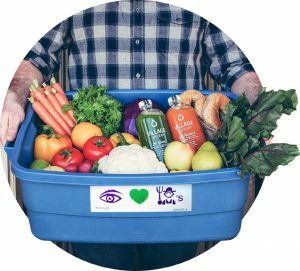 Their baskets are an assortment of the freshest local produce they can find, curated each week and help support local farms. Some baskets even include bread baked the morning of the delivery, eggs from local Amish farmers, coffee roasted in the St. Lawrence Market, juices pressed down the road. Need we say more? Organic, sustainable, and fair trade flower arrangements. 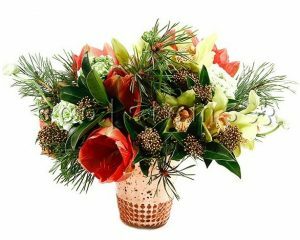 A beautiful bouquet of hand-selected eco-flowers will certainly add warmth to her home or her hospital room. Help make diaper changing a breeze for new moms with these certified organic jammies adorned with two zippers, one to make dressing easier, and the other making diaper changing super convenient. These sleepers are adorable with their modern prints and so easy to zip and unzip even if your baby is rolling, kicking or crawling away! ZippyJamz has also partnered with Ronald McDonald House Charities and donates a portion of sales to help provide a home away from home for out-of-town families with sick children being treated at a nearby hospital. Organic and ethical kids’ clothing and accessories. 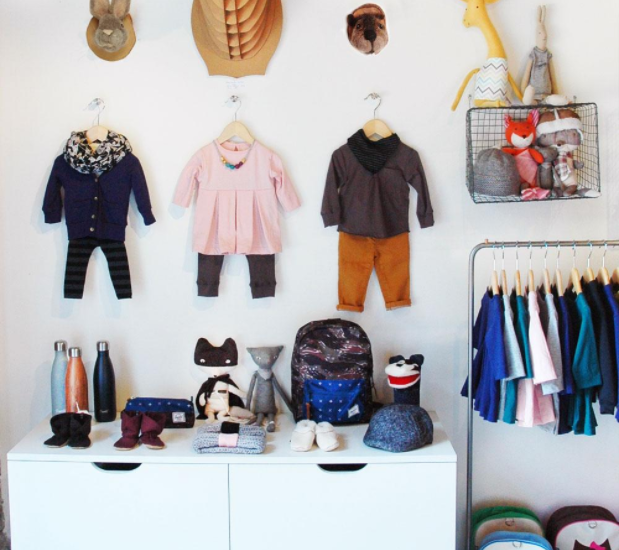 It’s so difficult to find simple, ethically made basics for the littles, but Mini Mioche clothes are beautifully made, comfortable, sustainable, and entirely designed and made in Toronto! We all know our bodies change after birth and she’s going to need the motivation to get out of those maternity pants! What better way to spoil her than to treat her to a shopping spree to buy Toronto designed and sewn clothes that are also stylish and comfortable? Mom and baby yoga classes. The mama in your life will need calm and zen after baby arrives. Yoga classes are a great way for mom and baby to bond, meet and connect with other moms, and some exercise at the same time! 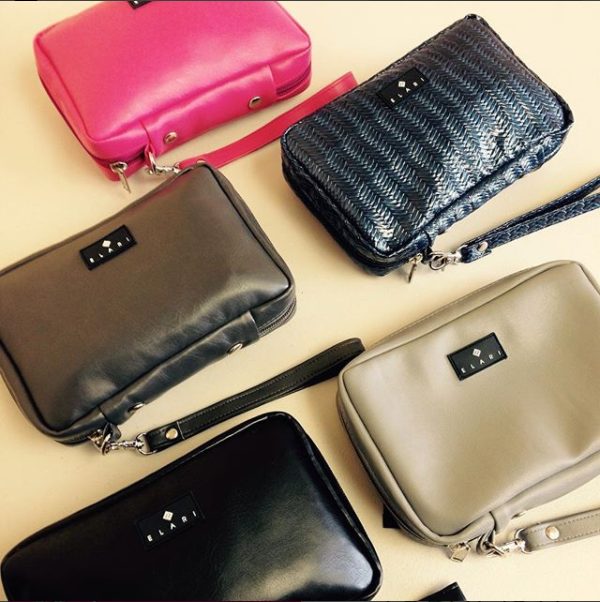 Made in Toronto, Elari diaper wallets provide chic, compact organization for all diaper changing essentials. Small enough to fit into your favourite purse, backpack, or diaper bag – you would be gifting fashion with functionality! The wallets are made with materials that have no harmful chemicals or additives, including non-toxic dyes, are mold and mildew resistant, and are washable. This is a diaper wallet by day and an evening clutch by night. One of the best gifts you can offer a new mom is soft, comfortable cotton diapers for her little one, that protect against rashes and harsh chemicals, and the peace of mind that her laundering will be taken care of with less environmental footprint, while she tends to her newborn. Comfy Cotton has been servicing Toronto moms for 30 years!